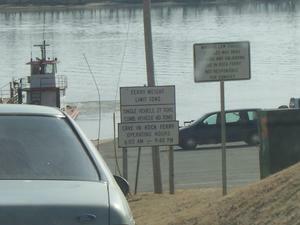 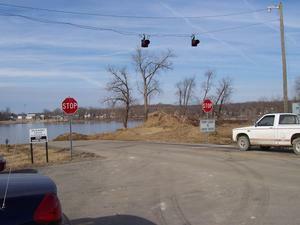 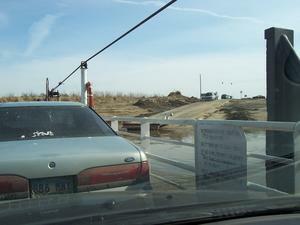 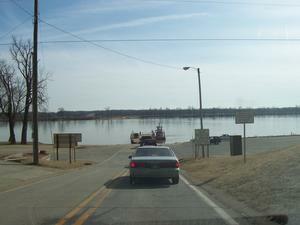 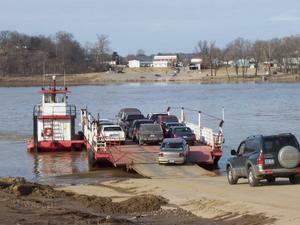 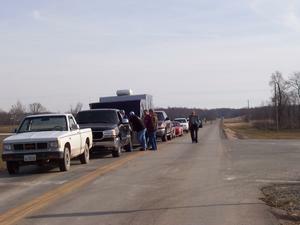 The Cave-in-Rock Ferry provides service across the Ohio River between IL 1 and KY 91 at Cave-in-Rock, Illinois. 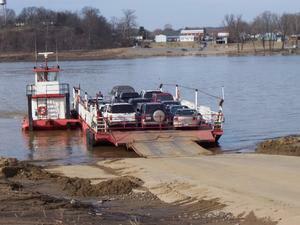 The free ferry is operated by the Kentucky Transportation Cabinet. 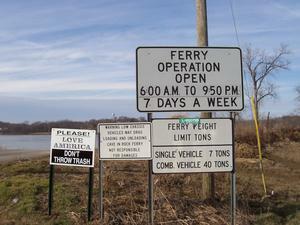 Description: The Cave-in-Rock Ferry Illinois approach. 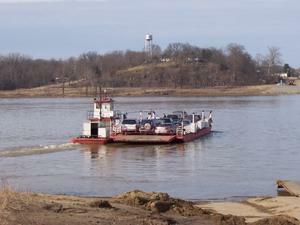 Description: Entering the Cave-in-Rock Ferry from Illinois.